The Redmond giant beats analysts expectations with a strong quarter showing non-GAAP revenues of $24.7 billion. Microsoft has beaten analyst expectations once again with better than expected quarterly earnings. The Redmond giant has today released its latest quarterly earnings, showing a non-GAAP revenue of $24.7 billion and GAAP earnings of $0.83 per share. Non-GAAP operating income sat at $7 billion. Wall Street’s analysts predicted $24.3 billion in revenues, representing a seven per cent year on year growth. In terms of earnings per share, analysts expected $0.71, a three per cent increase compared to the previous year. The biggest gainer for Microsoft was Azure cloud computing platform. Although overall growth slowed slightly, the division still saw increases close to 100 per cent, making it by far the biggest contributor to the company's recent success. 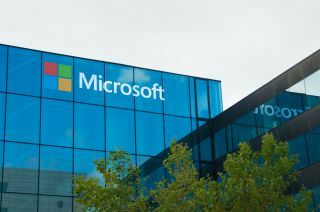 Microsoft said its “Intelligent Cloud” business earned it $6.8 billion, with the annual cloud run rate of $15.2 billion. Microsoft has recently undergone structural changes, laying off thousands in the sales divisions around the world in a move it says will help it focus even more on delivering the best cloud service to its customers. The results could also prove to be bad news for Microsoft's cloud rivals, as the company's vast resources could lead to it dominating the market soon. “Azure’s meteoric rise in particular has been key to Microsoft’s success in 2017 and notably, the grounds for the firm’s recent restructuring. Azure is on track to become the dominant enterprise cloud platform in the industry over the next several years," noted Nick McQuire, VP of enterprise research at analyst firm CCS Insight.